Mahendra Singh Dhoni – expected performance during Cricket World Cup 2011 in the light of vedic astrology. 19 February 2011- Saturday, Indian Cricket Team will play the first match of Cricket World Cup 2011. Vedic astrology readings indicate that Dhoni will have three planets viz. the Sun, Mars and Mercury in sixth house of his horoscope. The Moon will be transiting in Leo zodiac sign in twelfth house. The placement of cruel malefic planets in sixth house is said to be quite favorable, specifically when the antardasa Lord Mercury is also transiting the sixth house. Except some minor obstructions, the vedic astrology predictions are positive and Dhoni is likely to have quite a favorable, eventful and fortunate day. 27 February 2011 – Sunday. 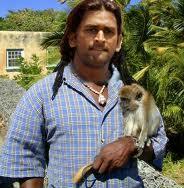 Vedic astrology readings for the day are not likely to be favorable and fortunate for Dhoni at all. He may not be able to perform well in overall sections of cricket. His performance as a batsman may not be satisfactory at all, and his decisions as a Captain may not yield expected results. Vedic astrology readings are predicting that even wicket-keeping skills of Mahendra Singh Dhoni may encounter a downfall on the date. 6 March 2011, Sunday – India will play against Ireland in a day-night cricket match in Bengaluru. And, apparently it wouldn’t be difficult for Dhoni and Indian Cricket Team to win this match. Dhoni is under Mercury antardasa in Mahadasa of Rahu and around 8.25 PM – Mercury will change its transit sign to Pisces. As per vedic astrology prediction, this transit conjunction of Mercury, Jupiter and Moon in seventh house of Dhoni natal birth chart is not favorable in the light of ongoing Mercury’s antardasa. And, after 8.25 PM, Dhoni may face difficulty in taking fruitful and best suited decisions. Vedic astrology predictions are suggesting that performance of Mahendra Singh Dhoni may also not be up to the mark as he may tend to take things lightly. 9 March 2011, Wednesday – India will play against Netherlands in a day-night cricket match. And, alike Ireland this may also not appear very tough for Dhoni to win this cricket match. His independent performance is likely to be averagely good and he may also like to take advantage of the situation by coming to bat early than expected. As per vedic astrology predictions, the Luck appears to be in good favor of Dhoni on this date and he might like to enjoy the easy victory. 12 March 2011, Saturday – Indian Cricket Team will play against South Africa in this day-night cricket match. The exalted Moon in Taurus sign in transit does give some good support and favor of luck to Dhoni on this date. But, overall his performance may suffer significantly. He may take some wrong decisions and fail to implement his strategy on the ground. Vedic astrology readings are denoting that the chances of Dhoni loosing this match are quite prominent. 20 March 2011, Sunday – India will fight against West Indies in day-night match. The Moon and Saturn will be conjunct in Virgo on the date. And, the Sun, Jupiter and debilitated Mercury will be in the seventh house. Dhoni may suffer from bad luck and misfortunes on this day and his performance may remain below average. His decisions may back-fire and he may not be able to contribute much. Overall vedic astrology predictions are not in favor of Mahendra Singh Dhoni for this date. As per above prediction india going to loose match against England, South Africa and West Indies. Does it indicate that India may not reach even quaterfinal? How come………….i dont think.1st of all please disclsoe which are the teams will reach to the semis and final and at last who will be the winner? The given predictions are only for Dhoni’s performance and should not be taken for deciding result of the match. There are other players in the team, who can perform and give results. The match against England is likely to be very interesting though. Dear Shramaji,thank you very much for your response. In your prediction against south africa match ” Vedic astrology readings are denoting that the chances of Dhoni loosing this match are quite prominent moreover predictions of Dhoni’s luck predicted not gin favor particularly matches against West Indies and England. Afterall he is a captian of India. in case it happend like, we raewould be ofcourse out of world cup in 1st round itself. Please can you please predict about World cup semi final and final match. Exactly ! You got it very correct. sir plz dont say this we love our country and we dont want to loose this time i know u may be right but plz tell us how much chances for india to win the cup……………..
guruji…Ur predictions r 100% correct..now readin ur post, india will lose next game against WI. thy r lucky to get to quarter final..guruji, please tell us how india will perform in quarter final? will they get knocked out? bold and prepared to hear truth from you 🙂 pls let us know..